Asia Law Network is collaborating with 99.co to bring great property-related legal content to readers of both blogs. In this article, Lawyer Zhi Xin Tan tells us how to resolve disputes with our condominium management or MCST. MCST stands for Management Corporation Strata Title (“MCST”), and refers to the managing body of a strata-titled property such as condominiums or any development with several individual owners and shared common facilities. The purpose of each MC is to manage and administer the common property and affairs in strata developments to ensure and maximize the peaceful enjoyment of strata living. This managing body is often referred to as the Management Corporation (“MC”) or more commonly referred to as the Management Committee, which is a legal entity which can sue or be sued. The MC is typically first appointed by the property developer. Tenants can vote to either retain the original management corporation or appoint a new one of their choosing. Why is your condominium management important? A good management committee is vital in making sure that the condominium is in good repair so that all its tenants can enjoy living there. Beyond that, the value and rentability of a condominium can be affected by the effectiveness of the management committee of the condominium. If a condominium is poorly maintained, it is likely to be obvious to potential buyers and tenants, and may, therefore, affect sale prices or rentals. It can be very challenging for the MC to manage a condominium. The MC has to work within a finite, limited budget to maintain a fairly large space that is largely open and accessible 24/7 to all its residents. The MC has to be proactive about a range of issues ranging from cleaning to security to the maintenance of the condominium amenities. It, therefore, plays a vital role in ensuring that the condominium facilities are fully functional and are in good repair. It is not uncommon to hear of disputes between the residents and tenants of a condominium and its management committee. Given that such disputes are very close to home for the residents, the potential for such disagreements to become acrimonious is high, especially since they may affect the comfort and standard of living for these residents. What are the laws governing the management of condominiums? 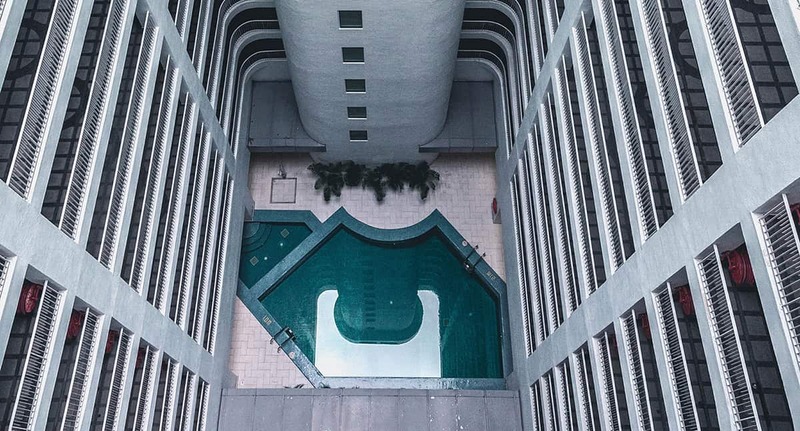 In Singapore, the governing legislation relating to the maintenance of property and overall management of strata-titled property is the Building Maintenance and Strata Management Act (Cap 30C) (“BMSMA”). The BMSMA is also supplemented by the Building Maintenance (Strata Management) Regulations 2005 (“the Regulations”). As residents, however, you only need to be concerned with a very specific part of the BMSMA and the Regulations – the by-laws. By-laws are basically rules that residents have to abide by so that strata living is pleasant and enjoyable for all. Under the Regulations, there is a set of compulsory by-laws that all management committees must adopt. While the management committee is empowered to make additional by-laws, these additions cannot be inconsistent with the compulsory by-laws under the Regulations. The additional by-laws can, however, be narrower and stricter than the compulsory by-laws. recover damages for any loss or injury to person or property arising from the breach from the person bound to comply, the management committee or the managing agent. Noise: residents shall not create any noise (whether at home or at the common property) that will interfere with the peaceful enjoyment of others. Parking of vehicles: vehicles cannot be left or parked in the common property without the management committee’s approval. Obstruction of common property: residents cannot stop or interfere with the lawful use of common property by other residents. Damage to landscape: residents cannot damage any lawn, garden, trees, shrubs, plants or flowers on common property. Without the management committee’s permission, residents are not allowed to use any part of the common property as their own garden. Alteration or damage to common property: not permissible without management committee’s permission. Residents may install locks or other safety devices to prevent intruders or animals from entering your premises, but residents must be responsible for its maintenance and repair. Behaviour: Residents must be adequately clothed on common property, and should not use foul language that offend or embarrass others. Children playing on common property: Residents should ensure that children are under control and do not damage the common property or create noise to the nuisance of others when they play on common property. Depositing rubbish and unwanted items on common property: not allowed without management committee’s permission. Drying of laundry: without the management committee ’s permission, residents should not hang their laundry anywhere other than in designated areas such that they can be seen from outside the building. Laundry in designated areas should only be there for a reasonable time. Cleaning windows: residents are required to keep clean all exterior surfaces of glass such as windows and doors in their lot unless they are inaccessible, or if it is not safe to do so, or the management committee agrees by resolution to keep it clean. Storage of flammable liquids, gases, and other hazardous materials: Should not be stored in the premises or common property without permission of management committee other than those needed for domestic use. This by-law does not authorize usage and storage in a manner not allowed under any relevant written law. Garbage disposal: For units with rubbish chutes, garbage should be securely wrapped in plastic bags before being disposed down the chute. Large objects should not be thrown as they may cause blockage. For units without rubbish chutes, garbage should be securely wrapped and placed in a clean, dry and adequately covered rubbish bin located within the lot or other designated location. Residents should not put refuse into other residents’ rubbish bin without their permission. Rubbish bins should be placed at designated areas no earlier than 1 hour before the time of collection. After collection, bins must be promptly returned to their proper places and any rubbish spills must be removed. Waste intended for recycling must be disposed according to recycling guidelines, and the disposal of hazardous waste must comply with relevant written laws as well. Keeping of animals: Residents who have pets should ensure that their pets do not annoy other residents. Proper maintenance of lot: Residents must properly maintain their own unit, including all sanitary fittings, piping and apparatus, so as not to annoy other residents. Proper use of lot: A unit cannot be used for any purpose, illegal or otherwise, that may adversely affect the estate’s reputation. Change of use of lot: The management committee must be notified of any change of use of the lot, and such change must be approved by the relevant authority. Prevention of fire and other hazards: Residents and their visitors should not do anything that affects fire safety or create a hazard or danger to others. No article or object must be displayed or placed on or by any window, balcony, or outside the unit in a manner that is likely to cause damage to property or injury to life. Control on use of facilities: The management committee may by special resolution determine the hours of operation and conditions such as those relating to the use of facilities on common property. Provision of amenities and services: The management committee may by special resolution provide amenities and services such as security services and garbage disposal to resident. Charges and any other conditions must be also indicated on the resolution. Apart from the above, the management committee can also make by-laws that give owners exclusive use of the common property for a certain duration. What duties does the management committee owe to its residents? Under the BMSMA, the management committee has a duty to control, manage, and administer the common property for the benefit of the residents. Where a special resolution is passed to provide for the installation or provision of additional facilities or making improvements to the common property, the management committee also has a duty to execute the special resolution for the benefit of the residents. Does the management owe the same responsibilities to people who rent as to the people who own the condo unit? Yes. Technically speaking, the duties are owed by the management committee irrespective of the status of the occupiers. What are the common reasons for disputes between a condo’s management and its residents? What options do residents have to resolve disputes? Given that disputes in strata developments happen very close to home, it is likely to be a very unpleasant experience for all parties. It is therefore in the interests of all parties to prevent the matter from escalating, and to find a way that will allow parties to continue living in the development harmoniously. The starting point therefore, would be to first approach the other party – be it the management committee or another resident – to see if the dispute can be resolved amicably.Keep in mind that managing a condominium is a very challenging job and often thankless task: management committees rarely get any credit for a job well done, and are instead more likely to be confronted by angry complaints whenever something slips through the cracks. If parties are unable to reach any form of compromise by themselves, it is recommended for parties to attempt mediation by an independent and neutral 3rd party (otherwise referred to as the mediator). The role of the mediator is to structure and facilitate the negotiation process, and to guide parties towards their own resolution. A lot of people underestimate the difference that an effective mediator can make in resolving a dispute: in gist, mediation can help settle in one or two days what the legal process may take in months. It is also considerably cheaper than the latter. The Singapore International Mediation Institute (“SIMI”) has also recently rolled out a portal to help the public search for mediators across all SIMI-accredited institutions. The Strata Titles Board is a tribunal established under the BMSMA to mediate and arbitrate disputes between owners and management corporations or between the owners themselves. STB will encourage parties to go for mediation first under their remit. If no resolution is reached after 3 days of mediation (continuous or otherwise), then STB will have the power to arbitrate the matter and make the necessary orders. STB will encourage parties to go for mediation first under their remit. If no resolution is reached after 3 days of mediation (continuous or otherwise), then STB will have the power to arbitrate the matter and make the necessary orders.STB’s decisions are final. Parties may only appeal to the High Court on a question of law, and in the meantime, they are legally obliged comply with STB’s orders. STB’s decisions are final. Parties may only appeal to the High Court on a question of law, and in the meantime, they are legally obliged to comply with STB’s orders. This process is indubitably cheaper than litigation or taking any sort of legal action. It is not necessary to have a lawyer to represent you, though you may find it helpful if you do not want to expend any further time and emotions dealing with the dispute directly. The application fee is S$500 and there is a possibility that you may be reimbursed depending on the STB’s decision. If the dispute falls outside the scope of STB’s jurisdiction, and if private mediation fails, parties can consider litigation. In this regard, it is advisable for parties to seek legal advice and representation. Are mediation and arbitration suitable for condo disputes? Yes, as stated above, both mediation and arbitration are suitable. The difference is that in mediation, parties can contribute to shaping a mutually agreeable outcome i.e. a settlement. In arbitration, the decision is taken out of the parties’ hands. When should they resort to each? Is there a sequenced/flow they should attempt? In our view, it is helpful for parties to approach this based on whether the dispute falls within STB’s jurisdiction. The starting point is always to approach the owner or management committee directly, and to see if an amicable resolution can be negotiated. This is not just because parties will have to continue living with each other, but also because ensuring that parties remain civil with each other despite your differences will go a long way in facilitating the process when parties attempt other forms of dispute resolution mechanism. If negotiation talks fail, then the question is whether the dispute falls within STB’s jurisdiction. If it does the complainant should file an application with STB since the STB’s dispute resolution mechanism involves both mediation and arbitration before the STB Board. If the dispute fails outside of STB’s jurisdiction, parties should attempt to go for private mediation. When mediation fails, parties may consider litigation to resolve their dispute. Please note that the above is merely a suggestion and not a prescribed approach. It is not meant to replace any legal advice that you may have sought. The STB proceedings has a structured procedure which consists of its own timelines. If you intend to bring your dispute to STB, it will be prudent to check out their guide to familiarise yourself with this procedure and what you have to do. Have a question on disputes with your condominium management committee or MCST? If you have any question about a dispute with your condominium management committee or MCST, you can get a Quick Consult from a transparent, flat fee of S$49. You can expect a call back within 1-2 days on the phone to get legal advice and have your questions answered. Alternatively, you may wish to request a quote from Zhi Xin. This article is written by Tan Zhi Xin from Derrick Wong & Lim BC LLP and edited by Asia Law Network. This article does not constitute legal advice or a legal opinion on any matter discussed and, accordingly, it should not be relied upon. It should not be regarded as a comprehensive statement of the law and practice in this area. If you require any advice or information, please speak to practicing lawyer in your jurisdiction. No individual who is a member, partner, shareholder or consultant of, in or to any constituent part of Interstellar Group Pte. Ltd. accepts or assumes responsibility, or has any liability, to any person in respect of this presentation. Zhi Xin represents and advises clients facing a diverse range of legal problems. While her main area of practice is Commercial Litigation and Dispute Resolution, her areas of work include the following: General Debt Recovery, Landlord & Tenancy Issues, Construction Disputes, Employment Law, Wills, Trusts, & Probate, Appointment of Deputy under the Mental Capacity Act, Family Law, and Advisory and Drafting Work relating to Commercial Agreements. 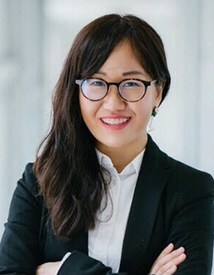 Zhi Xin is also an Associate Mediator with the Singapore Mediation Centre and is also one of the resident lawyers at the Jurong Spring Community Centre Legal Clinic. Personal Data Protection Act (PDPA) – What have you done with your rough paper? “Does the management owe the same responsibilities to people who rent as to the people who own the condo unit? Can you please clarify? The management council represents the SPs, not the tenants. Each tenant will have a contractual relationship with an SP. If the tenant has a concern, then legally speaking, that concern needs to go through the SP to the council. Practically speaking, the MC might entertain a legitimate concern from the tenant directly. Let me know if I am misreading what you wrote. Thank you for asking these questions! We’ve gotten a reply from the lawyer, Zhi Xin. Please see below. Firstly, thank you for your review and for your question. To clarify, the general duties that the MC has under the BMSMA are not owed to the SP or occupiers – the MC owe such duties by virtue of its role as the MC. To illustrate, with regards to property (s.29 of the BMSMA), the MC has a duty to control, manage, maintain, keep in proper repair, and administer the common property. Whether the occupiers are tenants or SPs/owners does not change this duty, albeit only the SPs have standing to bring a legal claim. As for the topic on meetings that you have brought up, with regards to rights and duties, the MC has a duty to convene meetings, and SPs have the right to raise an issue through the agenda. The MC is not under a duty to resolve the issue – rather, the issue is ventilated during the meeting proceedings and it will be put to a vote. With regards to the scenario that you have raised, it is not a question of what duties the MC owes, but rather, where a tenant should go to get an issue addressed – this really depends on the issue. For instance, if the tenant wants to change a by-law, then the tenant will have to go through his landlord, the SP, to bring it up during a meeting. If the issue is on the repair or maintenance of condo facilities, the tenant can approach the management office directly. It is the MC’s duty to attend to repairs and maintenance within a reasonable time.